'Sounds like a marketing ploy to me." The geography of this year’s Winter Olympic Games is causing some grief for athletes and spectators in Pyeongchang, South Korea. It’s freezing in the Taebaek Mountains — so cold that the temperature is warping skis and freezing makeup to faces, forcing officials to postpone events. But the official tourism board maintains that high-altitude Pyeongchang, nicknamed “Happy 700” because it’s 700 meters (about 2300 feet) above sea level, is optimal for the happiness and health of athletes and audiences alike. On its website, it says: “the County, which is located at 700m above sea level, [is] deemed the best altitude for human biorhythm.” This sounds like it would be a good thing for feats of Olympic athleticism, but scientists are doubtful that Pyeongchang’s altitude — and the oxygen levels at those heights — have any real impact on anyone’s physical prowess. The dubiously scientific concept of biorhythms suggests that another biological cycle besides the circadian rhythm — in this case, one presumably linked to the high altitude of Pyeongchang — affects the health and well-being of people in the county. But while proud locals may claim to feel these effects, Pyeongchang’s location at 2,300 feet above sea level doesn’t seem to mean much more than some really cold temperatures. Andrew Lovering, Ph.D., an associate professor of human physiology at the University of Oregon, explains that Pyeongchang’s elevation wouldn’t really affect most individuals because our bodies natural respond to low oxygen levels by increasing breathing rate. But he thinks it’s possible athletes could feel an impact on their performance, depending on how much their oxygen saturation decreases when they exercise. 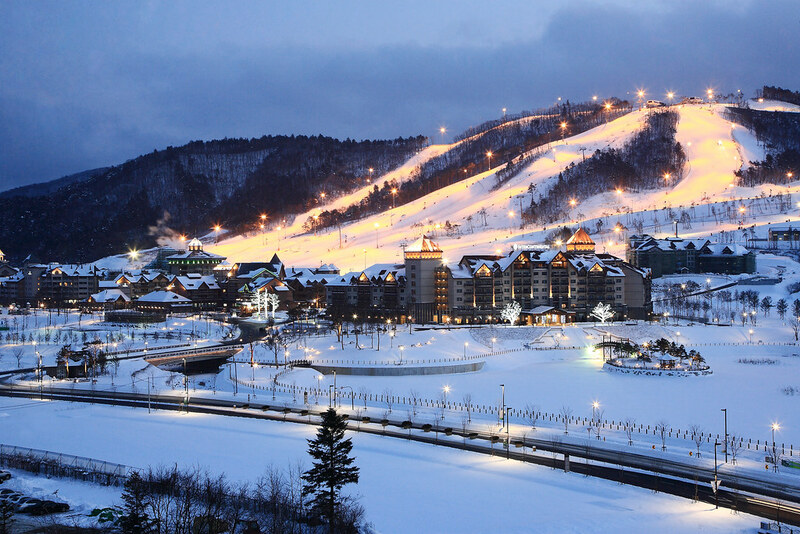 Pyeongchang is located in the Taebaek Mountains. At 2,300 feet above the sea, Pyeongchang’s altitude isn’t even really that high: In the scientific community, high altitude is defined as 8,000 to 12,000 feet above sea level. At those heights, it’s true that certain environmental stressors — like alternating extreme temperatures, low air pressure, and dehydration-inducing winds — can negatively affect the body. Altitude sickness becomes a risk when people ascend into altitudes above 8,000 feet and the decreasing barometric pressure reduces the amount of oxygen in the air. If Pyeongchang was a little bit higher above sea level, its claims would be a little more believable. A few studies have shown that living at a higher range of elevation can induce some health benefits: In a 2011 study published in the Journal of Epidemiology and Community Health, scientists from the University of Colorado School of Medicine and the Harvard School of Global Health showed that study participants who live 5,967 feet above sea level had a lower chance of dying from ischemic heart diseases and tended to live longer than those who lived at near-sea level. Meanwhile, a 2012 study published in the International Journal of Obesity determined that Americans who lived above 5,000 feet were less likely to be obese than those who lived below 1,600 feet. It’s not entirely clear what mechanism underlies this association, but it remained even after the scientists adjusted for age, diet, demographic factors, smoking habits, and physical activity patterns. Nevertheless, it seems Pyeongchang is out in the cold when it comes to owning either the good or the bad effects of its altitude. And so far, with a week and a half of games still to go, it’s been the wind and the cold, not the oxygen level of the Happy 700, that’s proving to be the biggest hurdle to Winter Olympians. That, and unfortunately, norovirus.